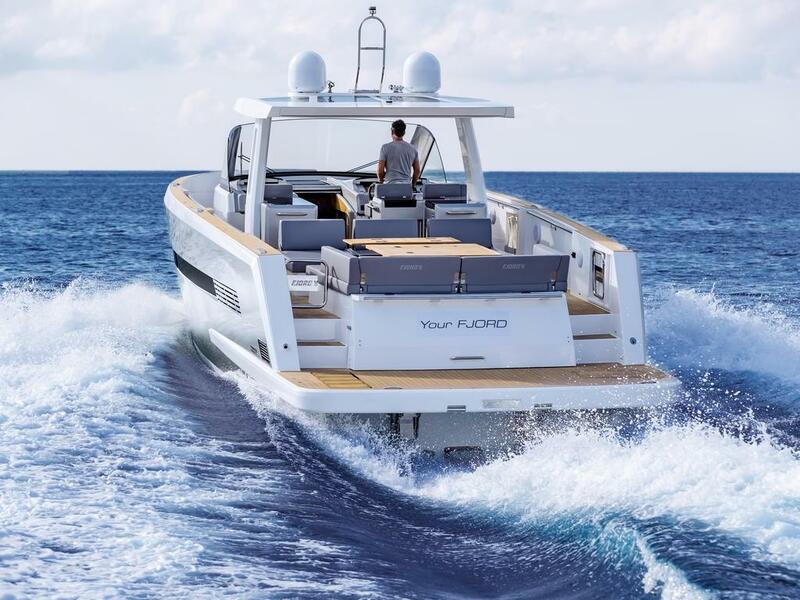 The Fjord 52 Open is the flagship of the Fjord Ship Yard since 2015. 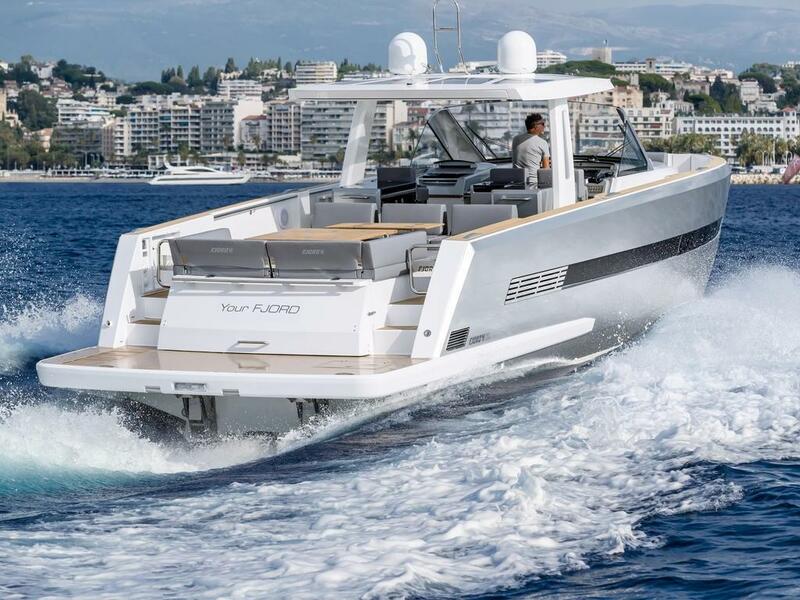 Initially denominated Fjord 48 Open it soon became a Fjord 52’ when the yacht incorporated an XL hydraulic bathing platform. 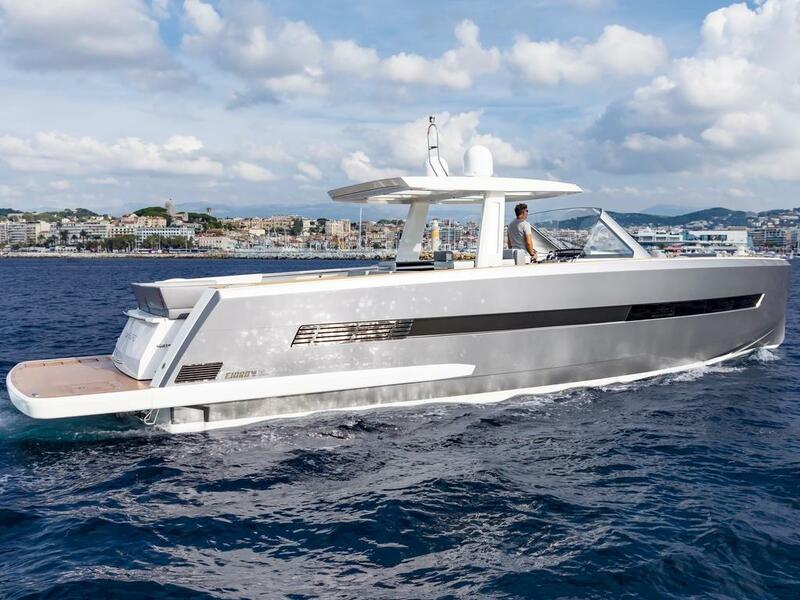 With an overall length of 16 meters this boat complies with the most demanding expectations. 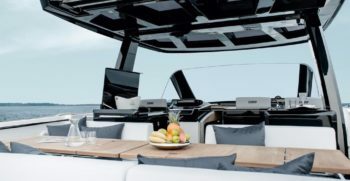 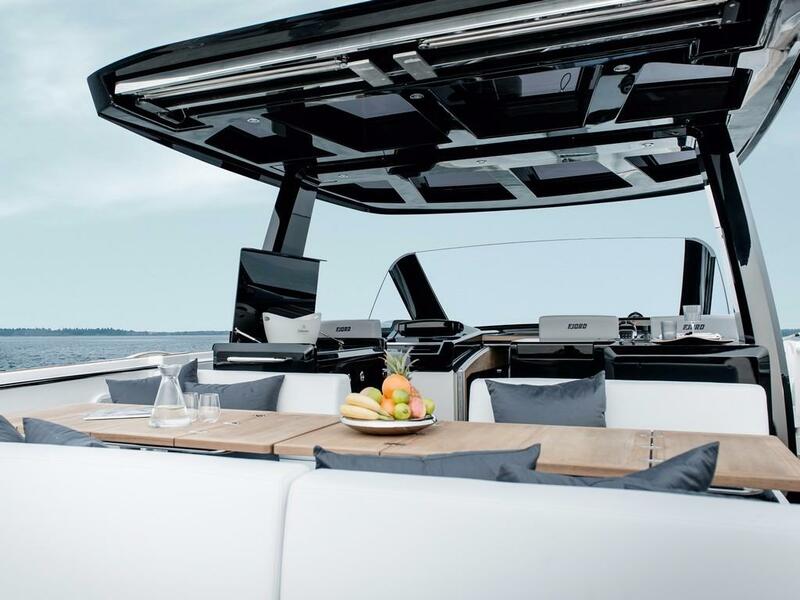 The Fjord 52’ Open is the maximum exponent of a luxury day cruiser with central console. 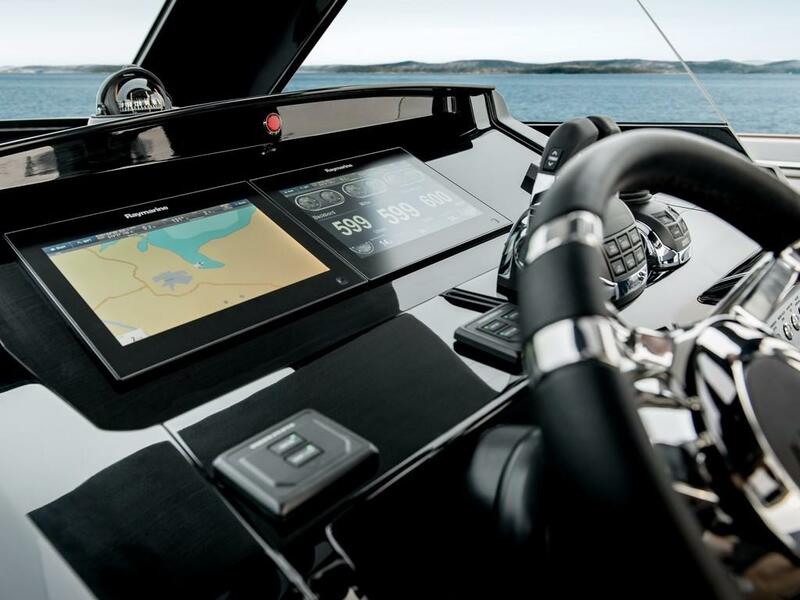 It is a clear example of the Fjord philosophy taken to the next level. 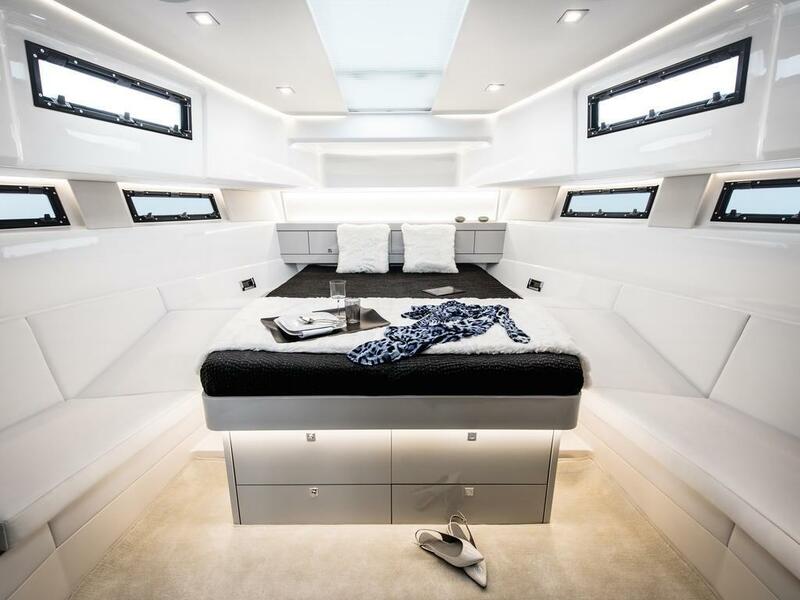 The options list is quite impressive. 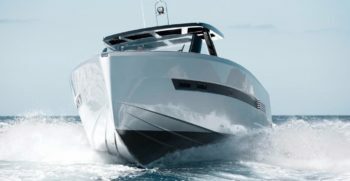 Motor Boat lovers have two engine options: triple Volvo Penta IPS 600 or twin Volvo Penta IPS 800. 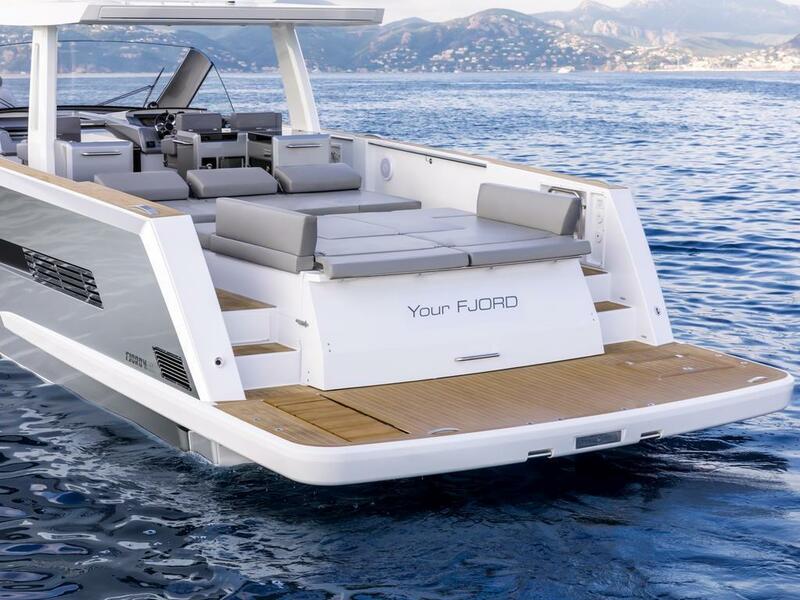 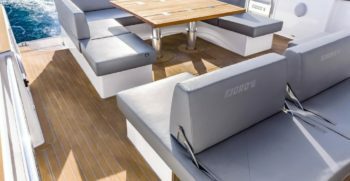 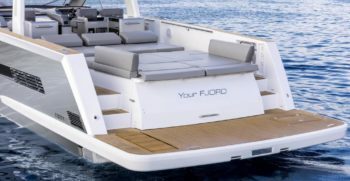 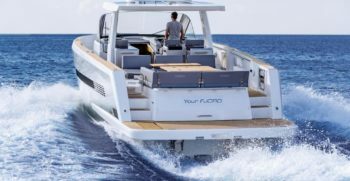 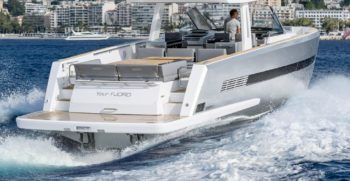 If you need load space, the Fjord 52 can accommodate a tender garage under the stern sunbed with capacity for a 2,85meter jet tender. 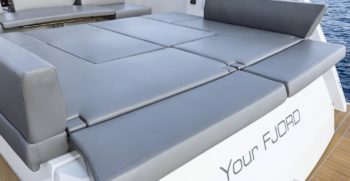 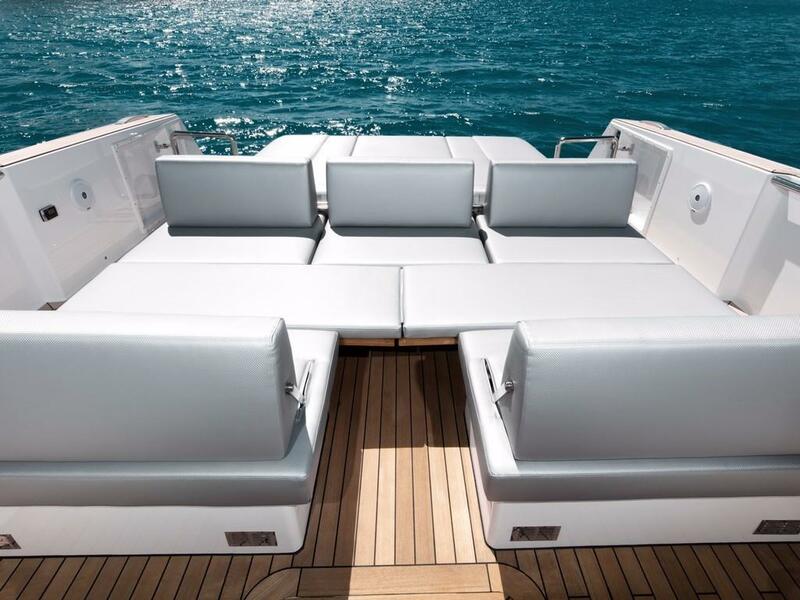 Party lovers and large families can choose the lay out with a large sunbed astern or a seating area to accommodate 10 passengers around two separate tables. 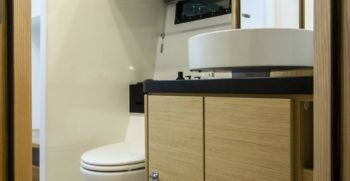 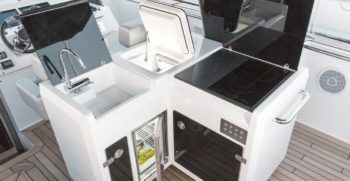 The exterior Galley of the yacht can be equipped according to your needs. 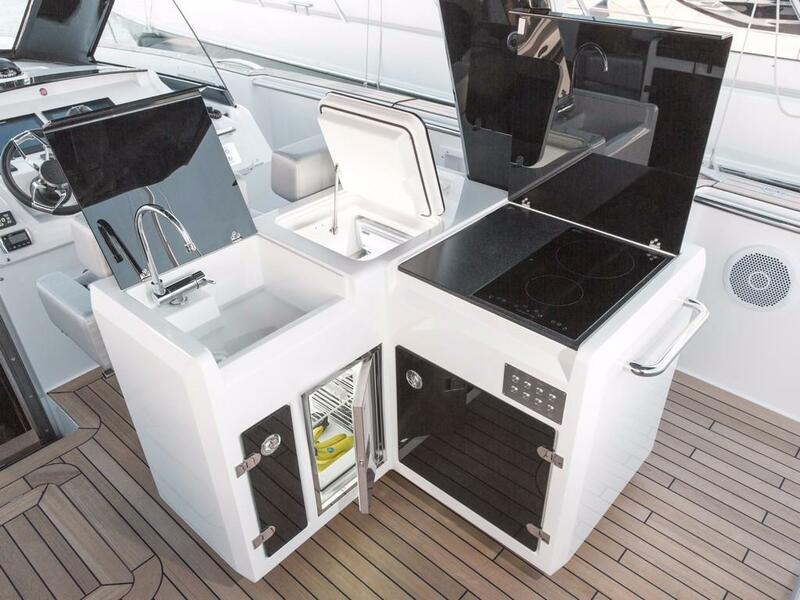 Induction Cooker, Grill, Icemaker, additional fridges and all combined with extensive work surfaces and a large sink. 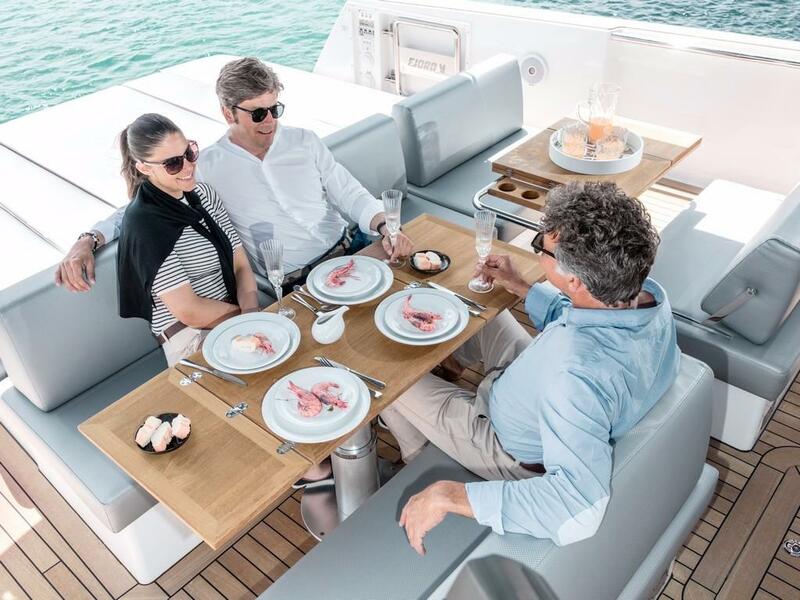 At sea the Fjord 52’ Open has proven to be a robust, exuberant and trustworthy vessel. 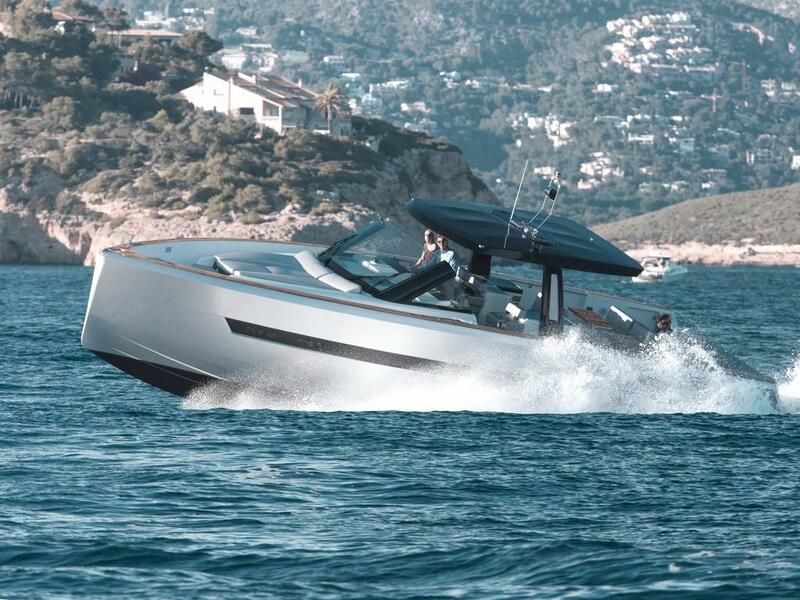 The boat tank capacity of 2000 liters gives you a range far superior to that of costal navigation. 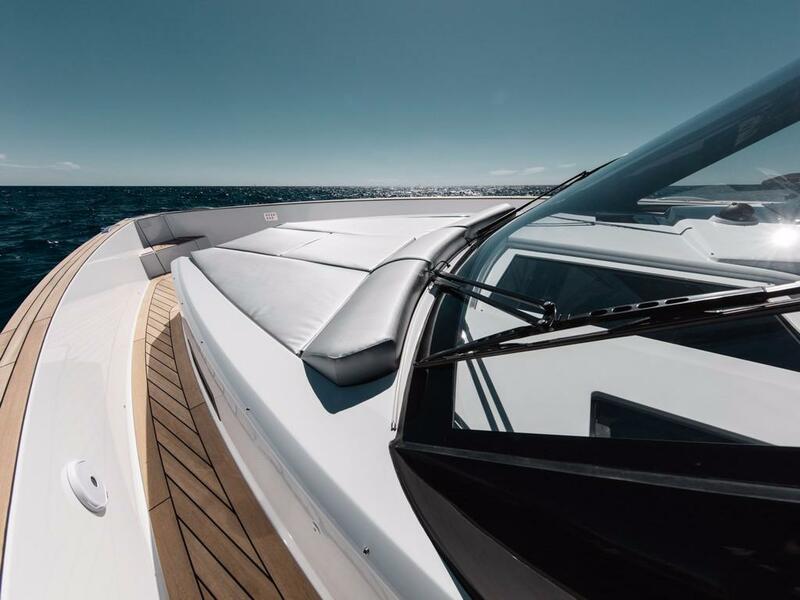 The high Freeboard along with the advanced hull design allow you to sail even in unfavorable sea conditions and maintain a dry deck. 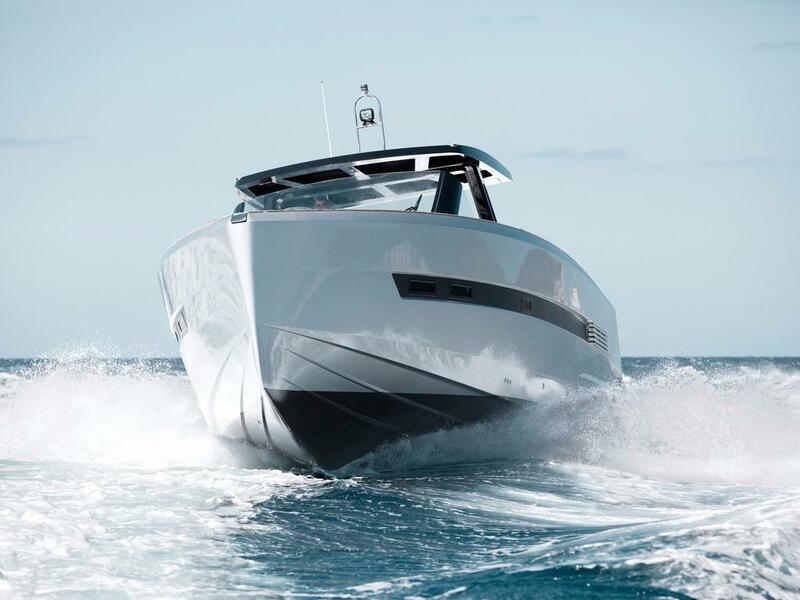 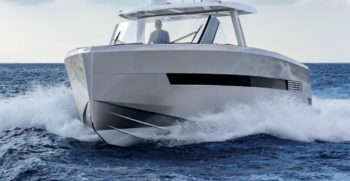 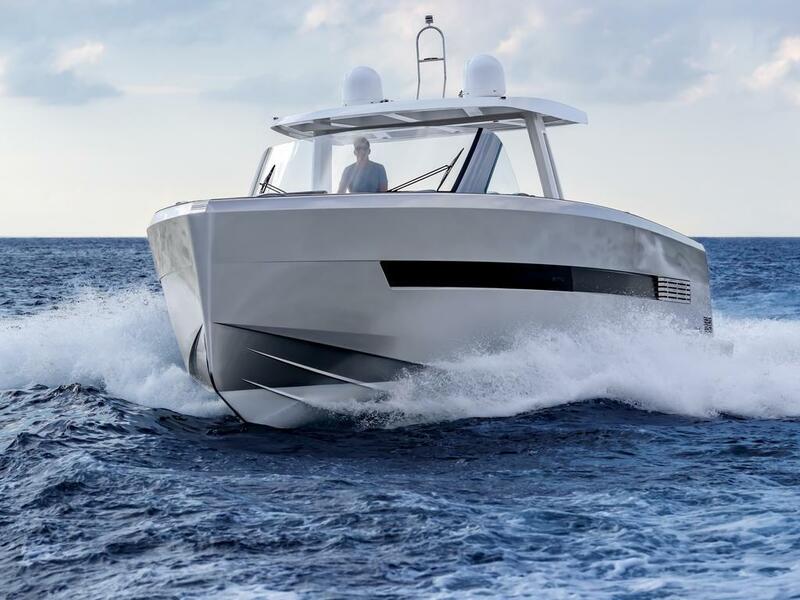 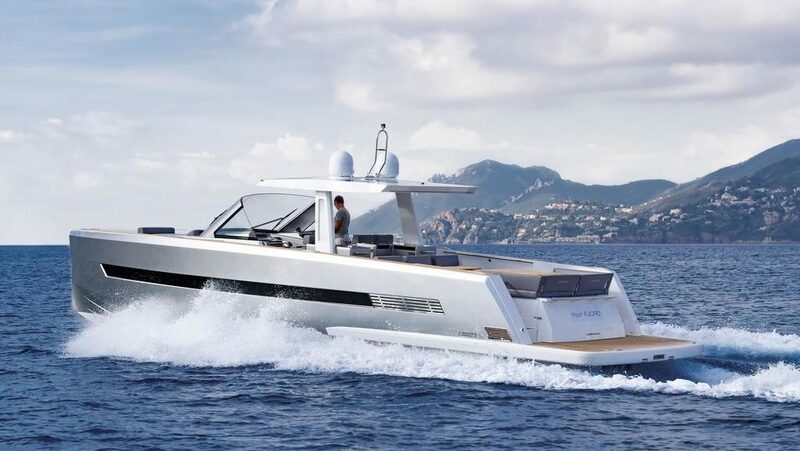 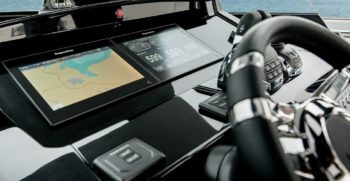 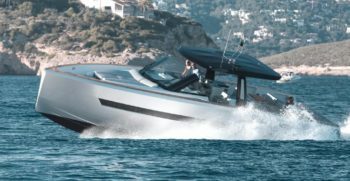 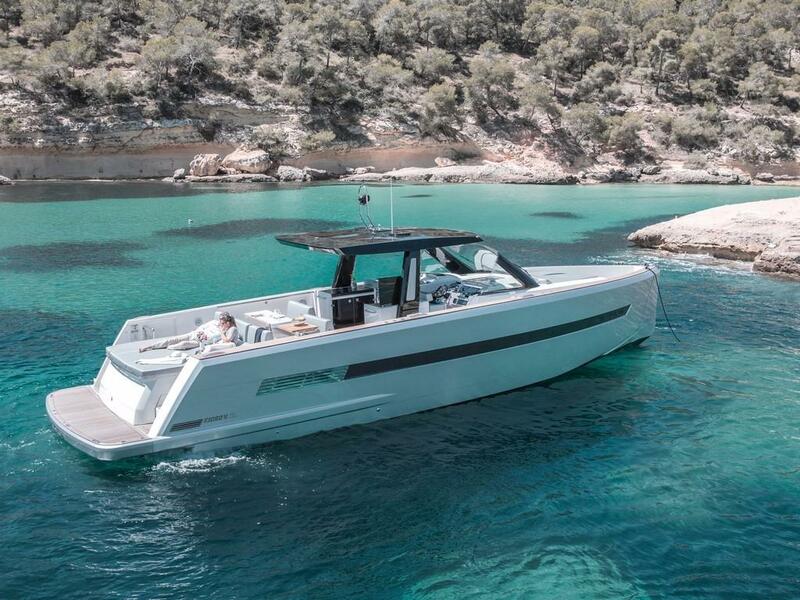 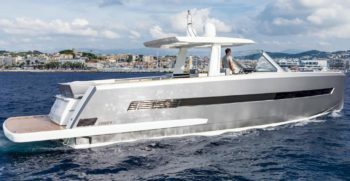 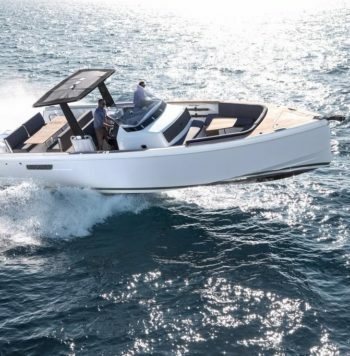 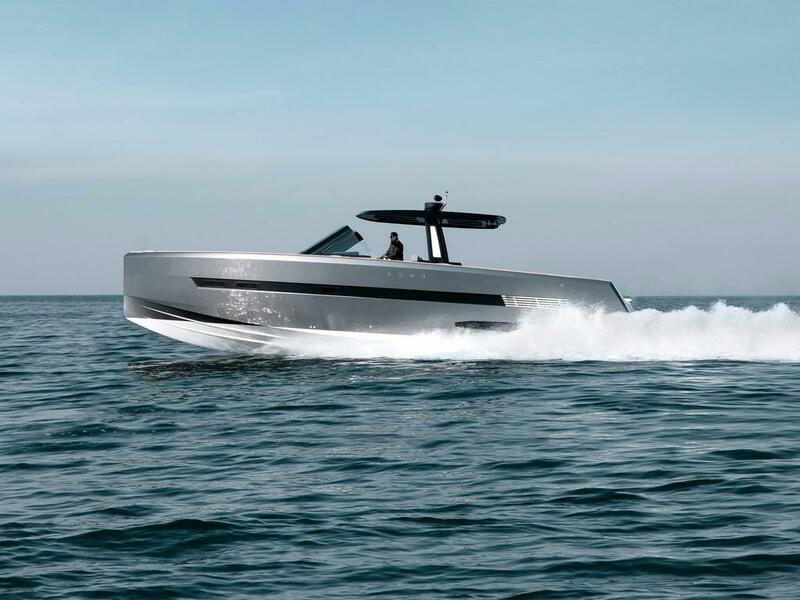 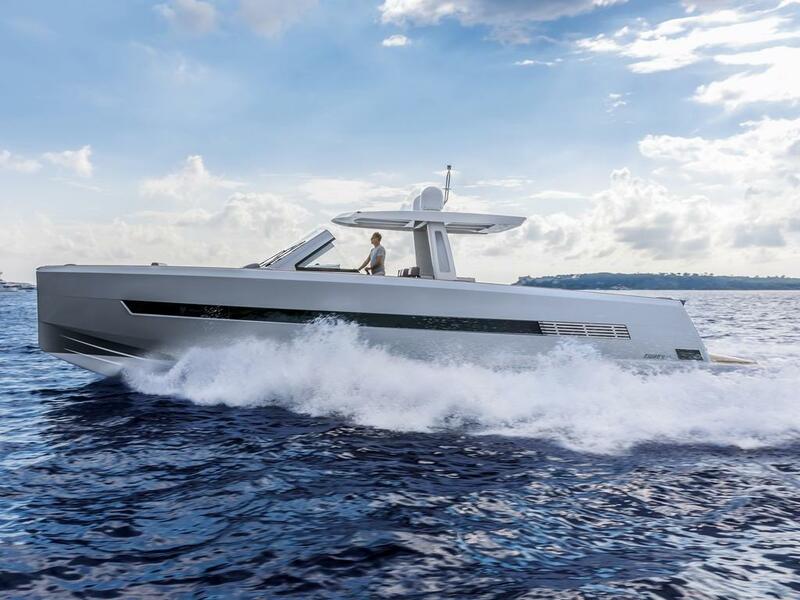 The prominent windscreen together with the T-Top protect the steering position and forward cockpit without sacrificing yacht visibility. 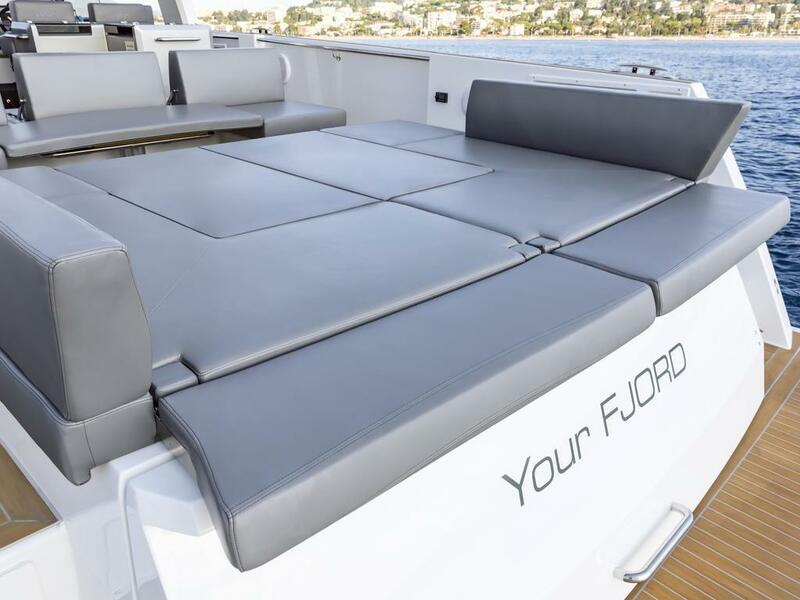 The comprehensive Helm Position is equipped with 3 comfortable driver seats that can be folded upwards to allow you to stand when maneuvering in the ports. 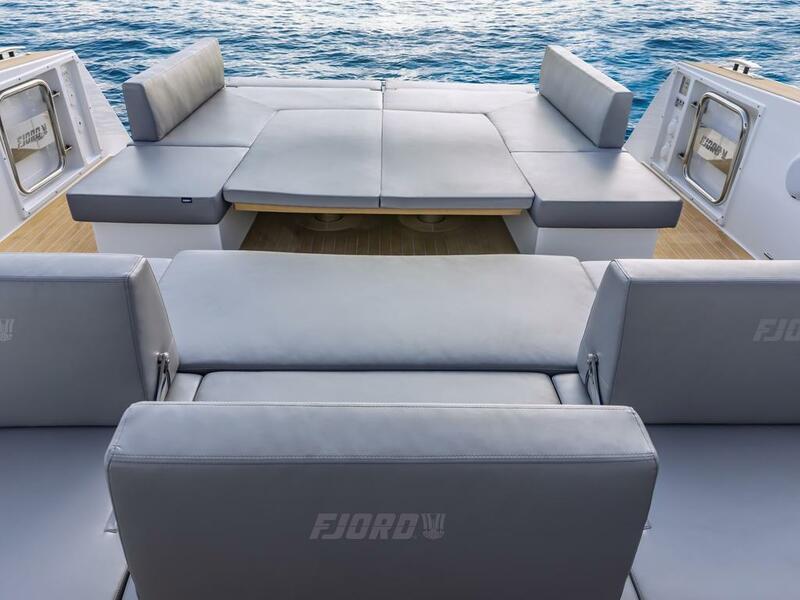 The Fjord 52’ Open can be equipped with all the navigational aids a yacht may need. 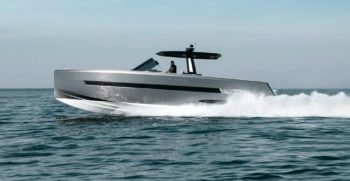 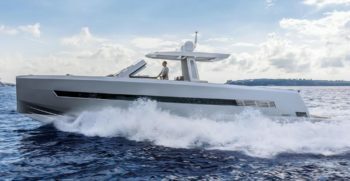 The three engine version achieves speeds of 40 Knots maintaining its stability and sea worthiness. 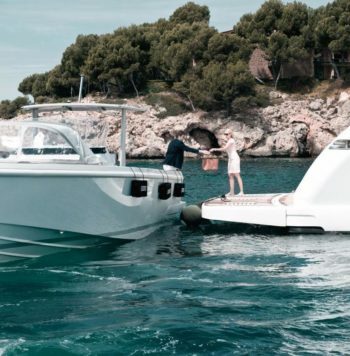 The Joy Stick allows you to handle the boat with utmost ease and exactitude inside the ports and removes any sense of insecurity or stress related to berthing even in cross winds. 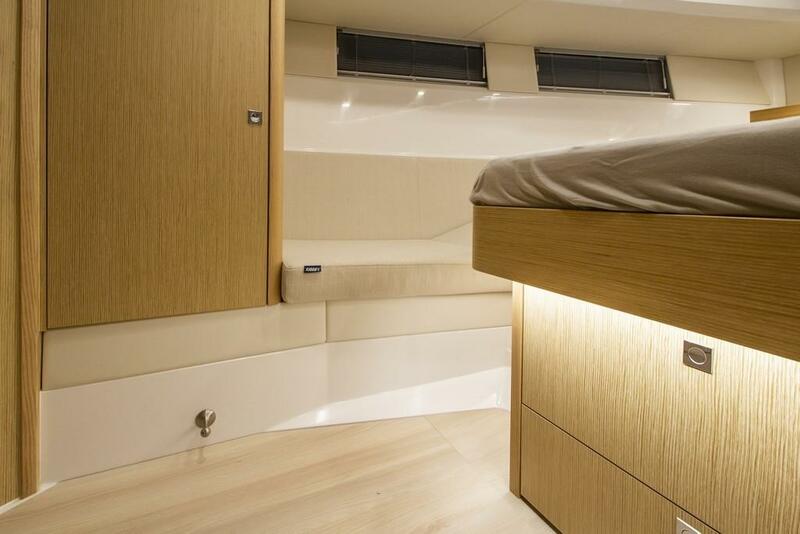 A 4,8 meters beam and a very low gravity par give the Fjord 52 great stability at sea and at anchor. 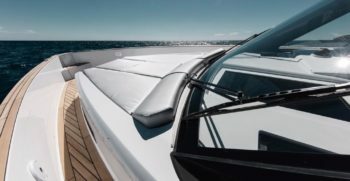 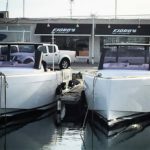 However, if you are searching for a totally smooth ride we can fit Humphry trim tabs which regulate the tilt angle at sea while cruising and a Gyroscope to stabilize the vessel when anchored in a lovely “cala”. 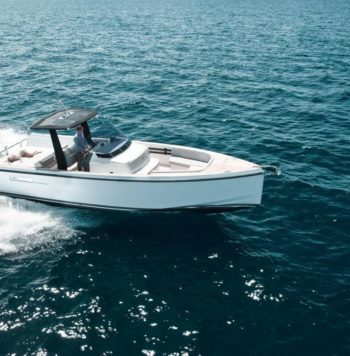 This spacious and sea worthy day boat is also a comfortable cruising yacht perfect for island hopping. 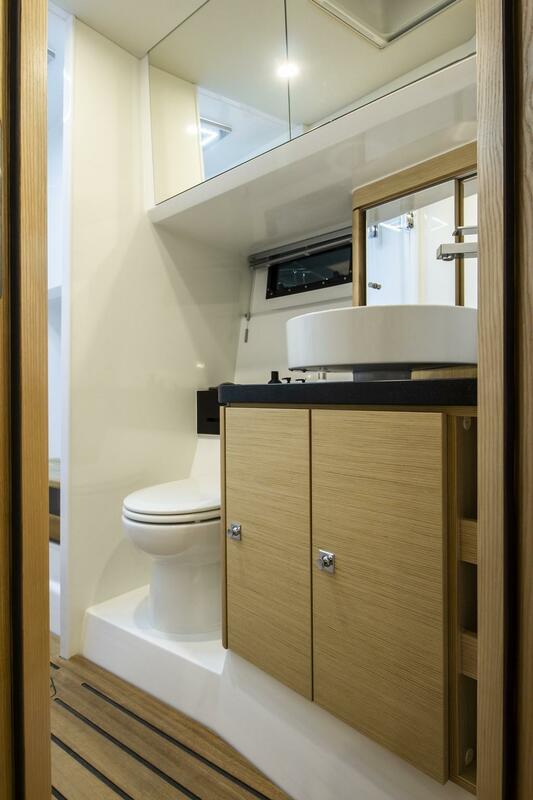 You will not be disappointed by the two double cabins each with en-suite bathrooms. 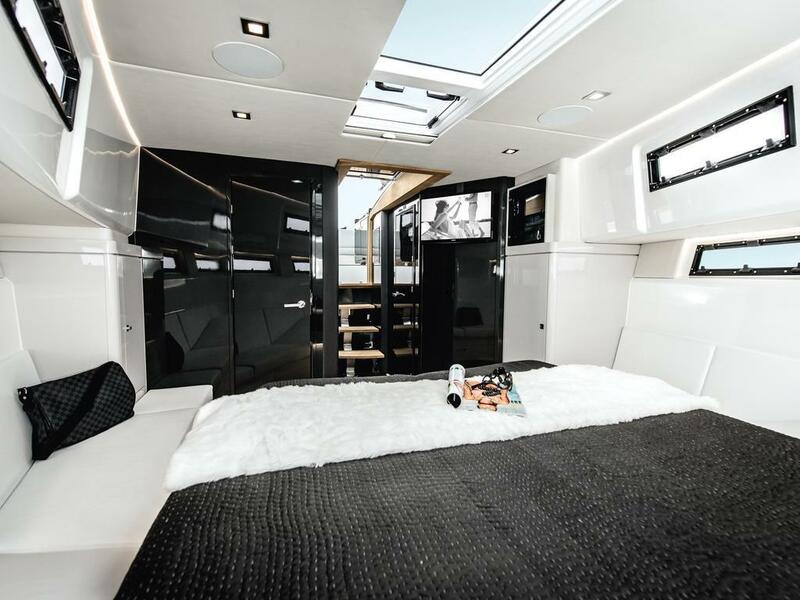 You can configure four different lay out options for the interior. 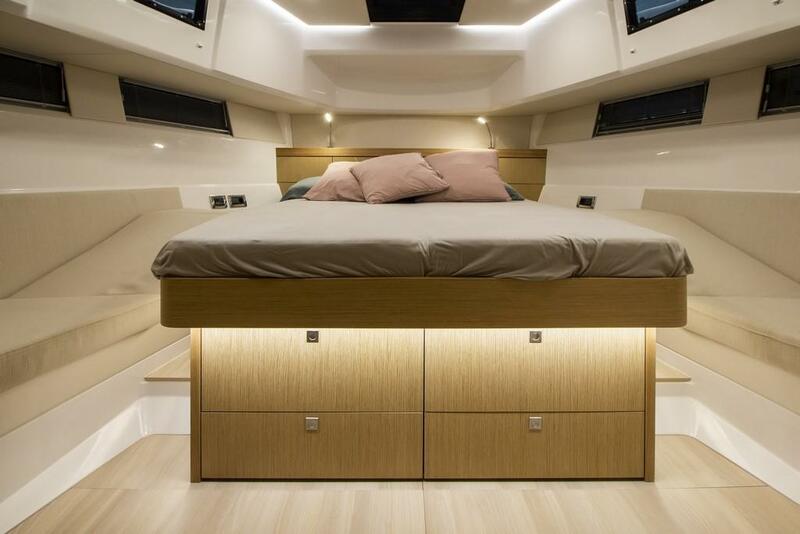 There is a wide choice of finishes and trims to be chosen. 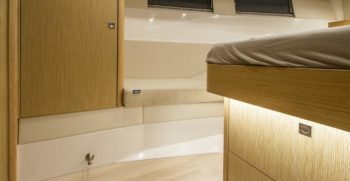 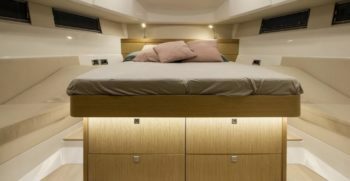 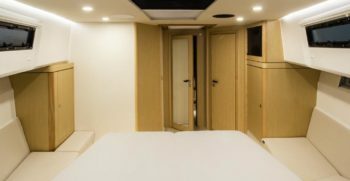 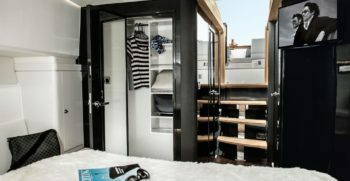 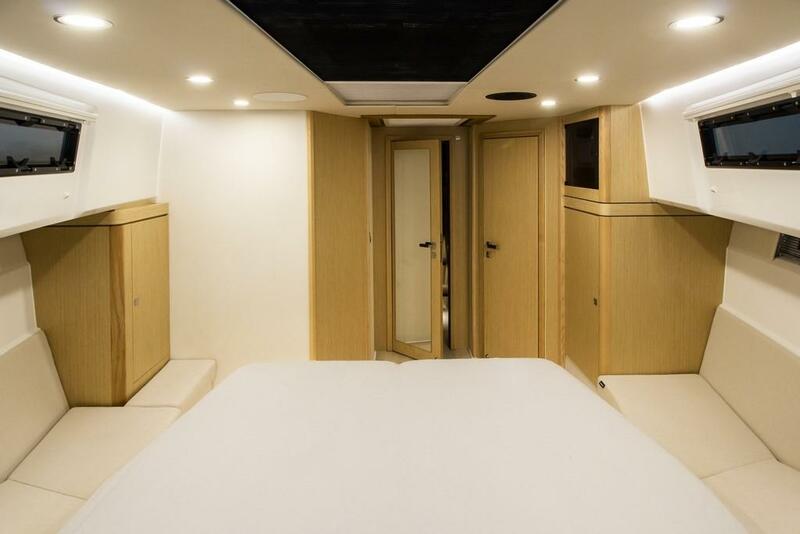 Different colored flooring, lacquered walls and doors in contrasting colors and several choices of wood finish allow you to customize your yacht fully. 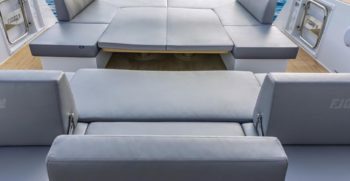 Also the upholstery can be varied both in the interior as well as on deck boat. 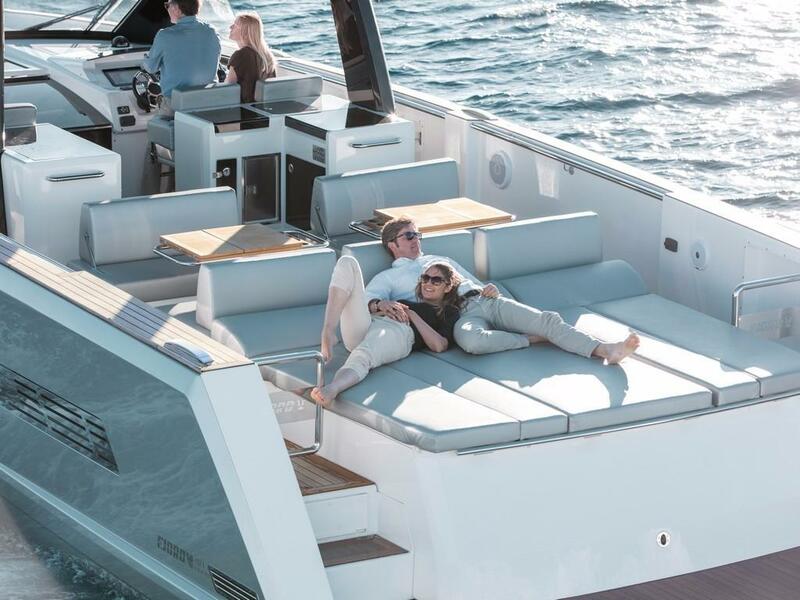 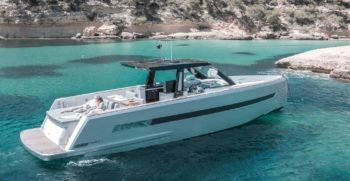 The Fjord 52’ Open is not only Fjord’s Flagship but it has also become a world-wide reference for center console 50foot luxury day boats. 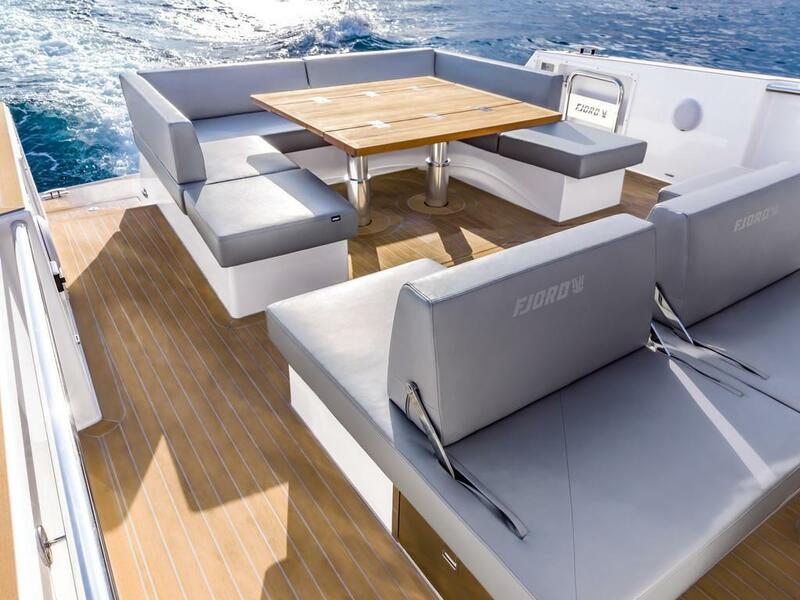 The ample deck space and companion ways endow this vessel with a superior level of comfort. 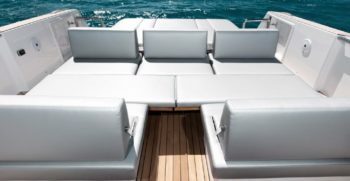 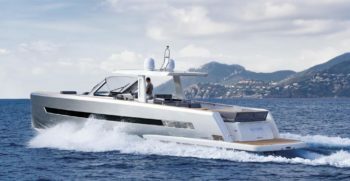 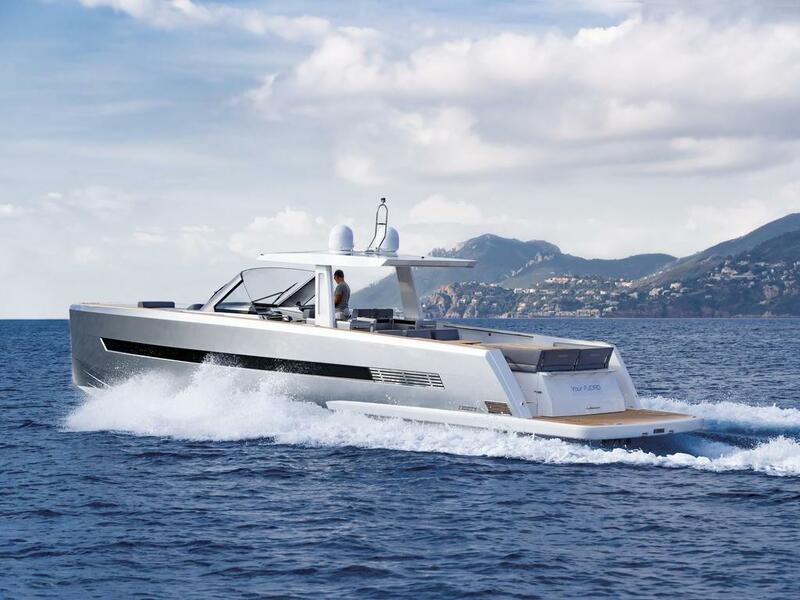 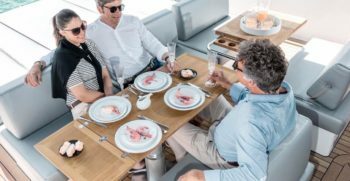 The CE homologation of the B category allows for 18 passengers on board the yacht. 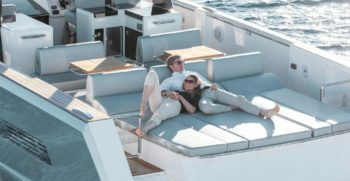 From bow to stern the main deck has well differentiated spaces where you can sunbathe or relax in the shade or even enjoy a succulent brunch anchored off the beach. 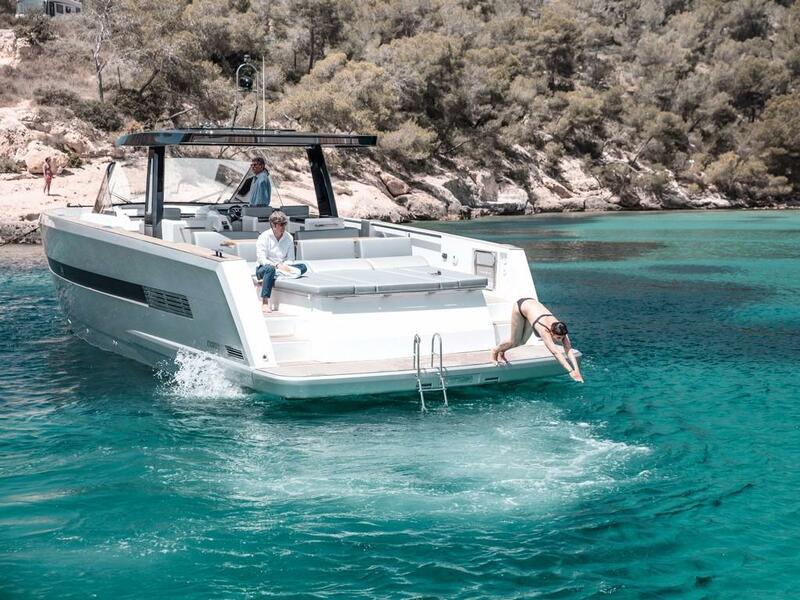 The moment has arrived to enjoy the sea like never before.